Rajeshwar Prasad Bharti from Hapur, Diploma Graduate. 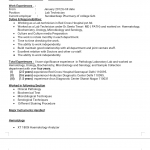 PATHOLOGY LABORATORY.. UROLOGY BIOCHEMISTRY MICROBIOLOGY AND SE.. AND SAMPLE COLLECTI.. PATHOLOGY ABORATORY .. UROLOGY BIOCHEMISTRY MICROBIOLOGY AND SE.. AND SAMPLE COLLECTI.. PATHOLOGY LAB HEMATO.. UROLOGY BIOCHEMISTRY MICROBIOLOGY AND SE.. AND SAMPLE COLLECTI..
are one of expert skill area's of Rajeshwar Prasad Bharti . Rajeshwar Prasad Bharti is working in Doctors/Nurses/Medical Professional industry.